Extending the term length on an insurance policy. A score used by those in the insurance industry to determine how likely a claim will need to be paid out for an individual or entity. What an insurer will pay to replace an insured asset. A number of methods used to establish how interest is accrued, owed and dispersed to the parties due. Stock on hand in the form of goods ready for sale. Also includes raw material in the process of being manufactured or completed for sale. A life insurance or segregated fund beneficiary whose benefit cannot be revoked or modified in any way without his or her consent. The policyholder's age when the policy was first issued, to the nearest year. A legal entity that develops, registers, and sells securities including stocks, bonds and derivatives. Insurance that covers expenses involved if an individual is kidnapped and ransom payments are made. A ratio that compares how many life insurance policies have lapsed from the beginning year to the end. A policy that is no long in effect due to missed payments, inaction or its term ending. The legally mandated minimum amount of money an insurer must keep liquid in order to satisfy its obligations to policyholders. ➥ A US mortgage term. Insurance where the premiums the policyholder pays are guaranteed to remain the same for an agreed upon period of time. A situation where one party is found to be legally responsible for something. Insurance that provides coverage for damages caused by an individual or entity's negligence or legal responsibilities. An arrangement where an insurer agrees to pay a benefit to one or more beneficiaries in the event of the policyholder's death. ➥ CanEquity offers life insurance. ➥ See Insurance Institute of Canada (IIC). A legal entity that is made the beneficiary of a life insurance policy, often arranged to evade taxation. ➥ Prerequisite for provincial insurance regulator's licensing exam. The option for a life insurance policyholder to receive a portion of their death benefit in advance of their death. A market for insurance and reinsurance based in London, England where Lloyd's members, underwriters and financial backers can spread and share risk. A group of Lloyd's of London underwriters. Insurance that covers health care costs for individuals with chronic or disabling conditions. The combined efforts undertaken by both the insurer and the insured to lower the risk, frequency and extent of potential losses. An insurance policy provision for payment of a claim to someone, other than the insured's interest in the insured property. This clause basically allows an insurer to make payments to a third party in certain circumstances. An entity that is legally entitled to the benefits of an insurance claim. With the rates they offer, applying for a mortgage at your bank is like throwing your hard-earned money in the trash. 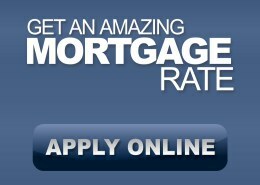 We offer amazing mortgage rates, apply today! The new mortgage calculator was built from the ground up to make it easier for you to find the best mortgage for your unique financial situation. Try it and find out what you can afford to pay on your next home. Interested in viewing current mortgage rates? Compare rates from all the best lenders in Canada using our mortgage rate comparison chart and find the lowest one.